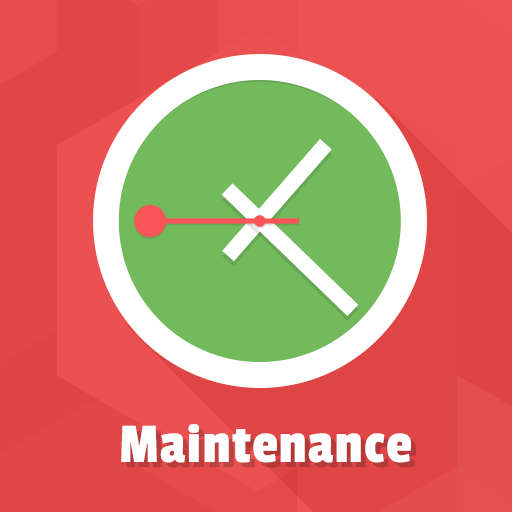 In some cases, for various reasons, you planned the upcoming scheduled maintenance of your website. This could be during server overload, fixing bugs or features upgrades. However, no one likes an unavailable website or coming soon pages. 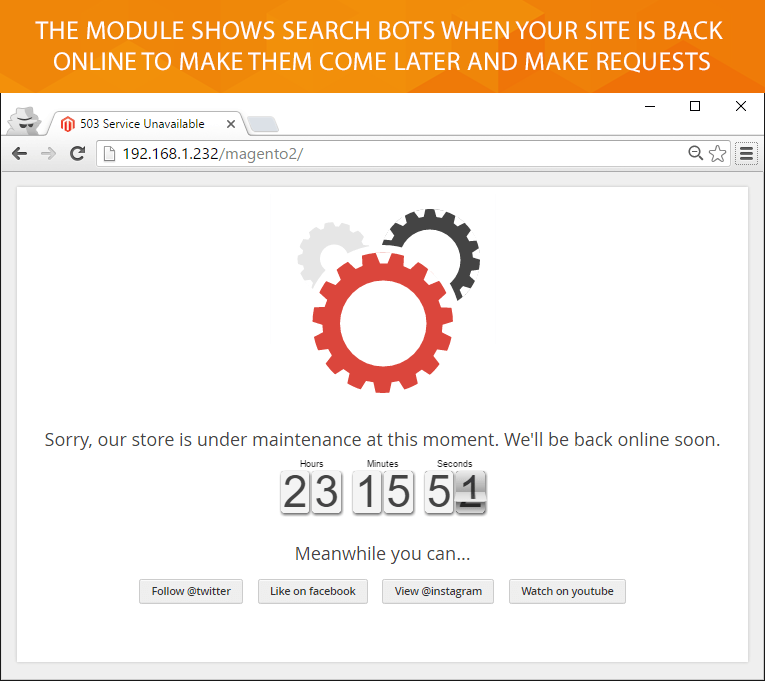 And that's where the M2 Store Maintenance module comes in. 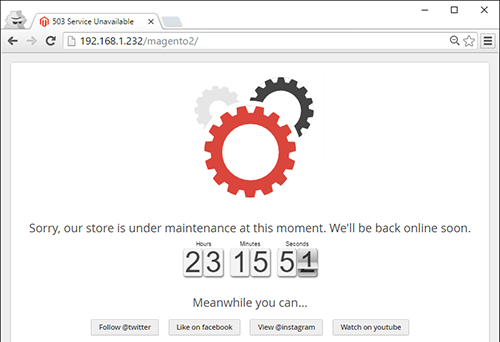 Our Magento 2 maintenance mode extension allows you to notify visitors that your store is under maintenance now. 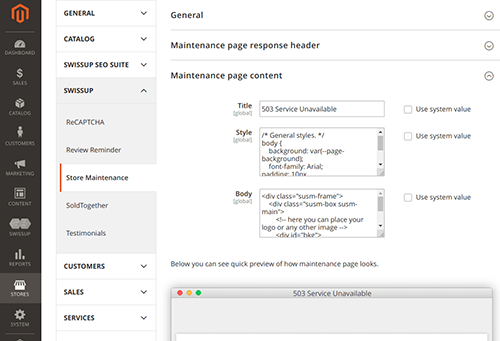 You can include the details about the expiration date of the maintenance period to your custom 503 page. And not only that, look at the other advantages of the extension. 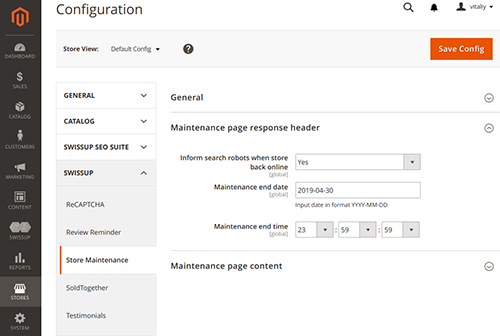 M2 Store Maintenance module will help you to put your Magento 2.0 site into maintenance mode right from the admin panel. You can enable or disable the mode in a single click. 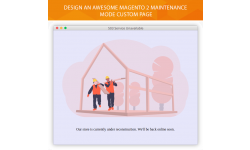 The module works perfectly with custom and third-party Magento 2 themes. It also supports responsive design to ensure your maintenance page will look great on any screen resolution. 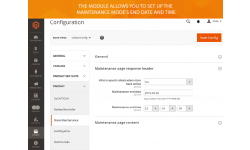 With the extension, you create an attractive maintenance page that will keep your customers satisfied with your store service. 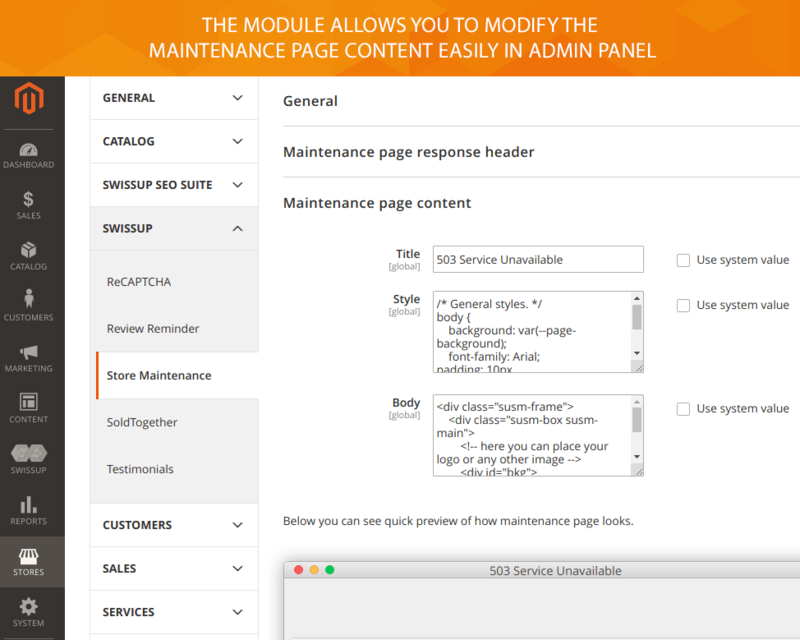 The module allows you to specify the maintenance page title, add your own CSS styles, use HTML markup to build the maintenance page body. 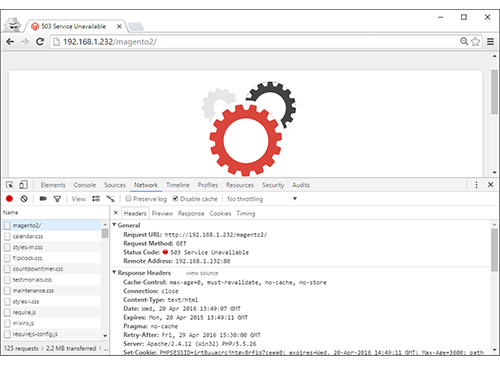 To ensure the page looks as you want, you can also use a quick preview feature directly in admin. Via the module you can create the list of connections from specific IP addresses. 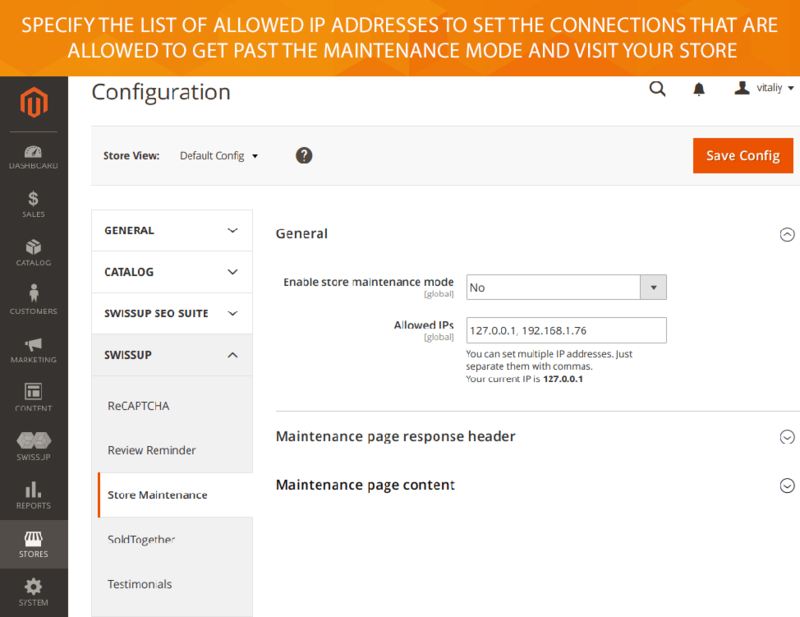 This option includes addresses that are allowed to get past the maintenance mode and visit your Magento store. 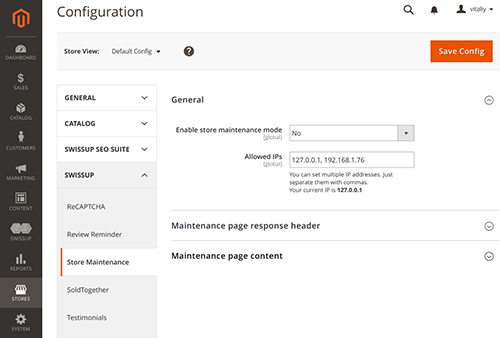 If the customer IP is not in the list of allowed IPs, he will be redirected to maintenance page straight away. 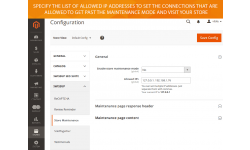 M2 Store Maintenance module allows setting the maintenance page response header from extension configuration. Thus you can inform search robots about active maintenance period. You can also specify the maintenance end date and time. 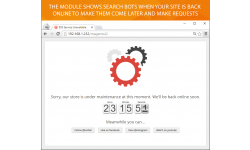 That will let your admins and crawler bots know when your site will be back online. 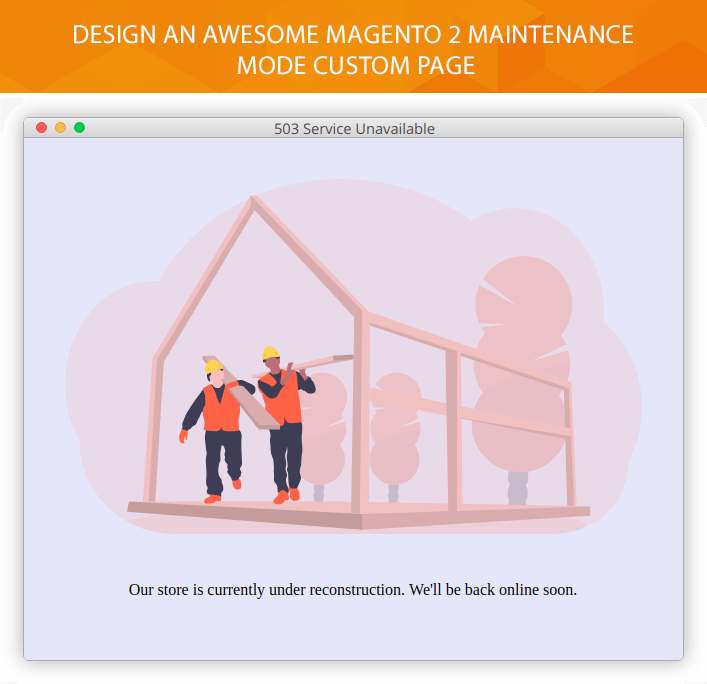 The M2 Store Maintenance extension brings the opportunity to design an awesome Magento 2 maintenance mode custom page. 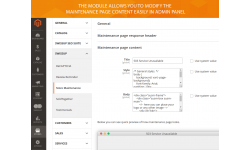 The page is highly customizable and can be easily edited via the module "Maintenance Page Content" settings. You can add your logo, background image, video, text, and select the desired color to highlight the maintenance page of your site. 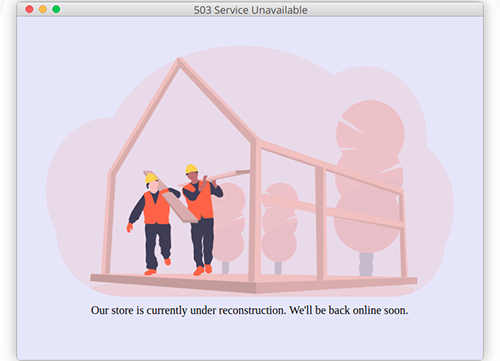 Your own store maintenance page will help you to reflect your brand, insert a link to other helpful content you provide or simply get a smile out of your visitors. The module is not only for happy customers. It is important for search engines, too. It can occur that a crawler bot comes to a store under maintenance, it doesn't find a requested content, and therefore would remove it from a database. 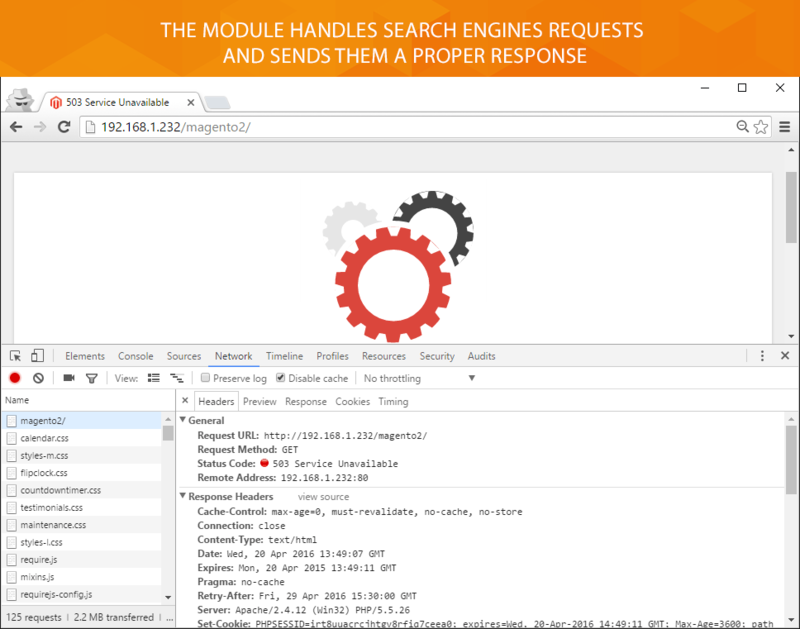 To prevent removing, you have to inform the search engine that a problem is temporary and send 503 HTTP status code as a response. And this is where M2 Store Maintenance extension really gets good. 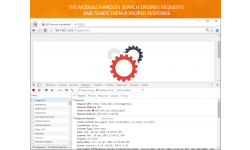 It handles search engines requests and sends a proper response to them.